Battle of Fornost (1975 T.A.) - In the Third Age, the remnant of Númenor founded two kingdoms in Middle Earth, one in the north and one in the south. 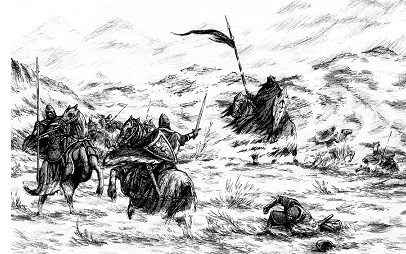 The northern kingdom was eventually destroyed by Angmar. The southern kingdom came to its aid, although not in time to save it.